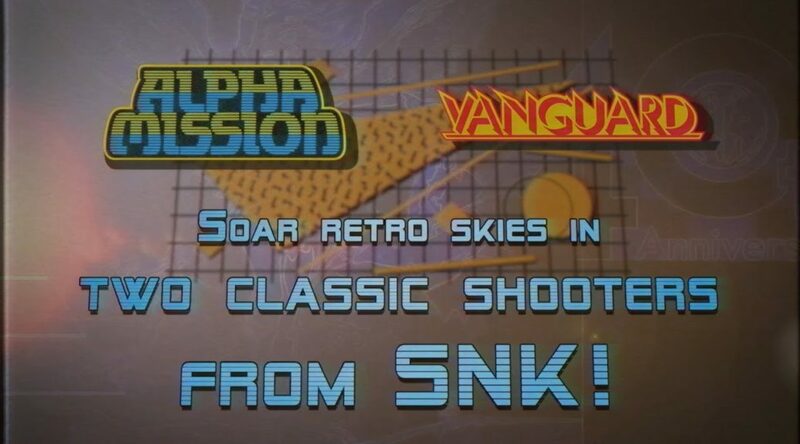 NIS America has published a new trailer for SNK 40th Anniversary Edition, featuring two classic SNK shooters Alpha Mission and Vanguard. SNK 40th Anniversary Edition launches November 13, 2018 exclusively for Nintendo Switch. Arriving November 13 on the Nintendo Switch, the SNK 40th ANNIVERSARY COLLECTION assembles over a dozen SNK titles to be enjoyed wherever you go! Have a look at our new trailer for two classic shooters, Alpha Mission and Vanguard. Enjoy these two blasts from the past in SNK 40th ANNIVERSARY COLLECTION on November 13 for Nintendo Switch! Just try your best not to crash and burn!